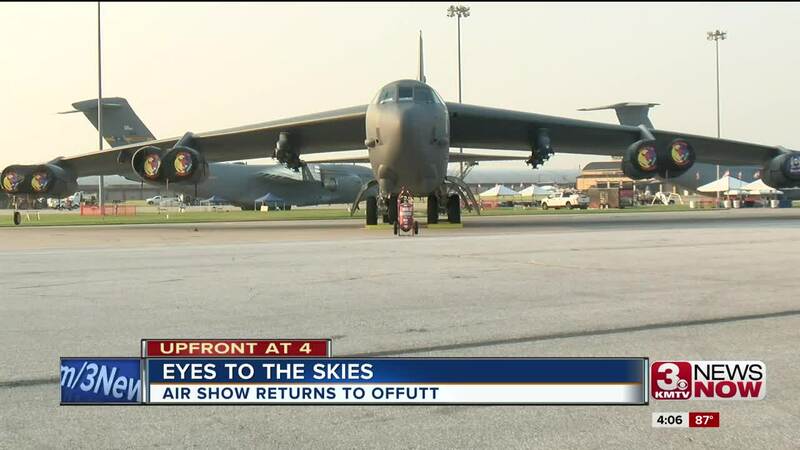 Following a one-year hiatus at Offutt, hundreds of thousands of people will have their eyes on the skies this weekend. After a one-year hiatus, the Defenders of Freedom Air and Space Show returns to Offutt Air Force Base Saturday and Sunday. Hundreds of thousands of people will have their eyes on the skies this weekend. 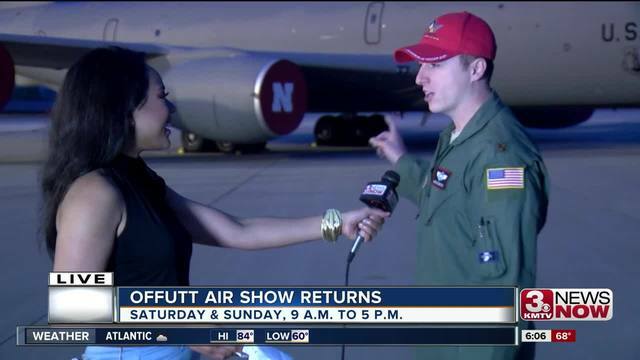 After a one-year hiatus , the Defenders of Freedom Air and Space Show returns to Offutt Air Force Base Saturday and Sunday. "We're excited to open up the gates to let everybody back," said Maj. Hunter Horste, the air show director. "To show off what the airmen here at the 55th Wing do as well as in the Air Force and Army for what we have represented here." America's military strength and power are on full display with planes like the F-22, F-35 and B-52 along with the Chinook helicopter just to name a few. About 150,000 people will make their way to the base, according to public affairs. To learn more about parking, food, and booths, visit the Offutt website .